Blogger, Editor, Website Developer & IT Consultant in North Yorkshire, UK. Browse: Simon Barker » TV/Movies » Simon Barker – The Mentalist? – The Actor? Simon Barker – The Mentalist? – The Actor? Oh yes, that’s right, it does kinda make you wonder, doesn’t it? When you find that people are coming to your website searching for “simon barker the mentalist”, it might cause you to feel somewhat concerned about – why are so many people out there thinking you’re a “mentalist”? It makes me laugh each time I see that though, the scene from the Alan Partridge TV series immediately springs to mind in which he refers to someone as a “mentalist”. So I thought it might be best doing some research into this whole business. It turns out that there’s an American TV show called “The Mentalist” which stars an Australian actor called “Simon Baker“. I find it quite curious how so many people can end up searching on a spelling mistake, I presume that TV in question spells his name right in the credits, so does the surname “Baker” instantly translate to “Barker” in so many people’s minds? It certainly would appear so, especially when some people arrive on this website after they go searching for “simon barker naked”?!?!? It certainly makes you wonder about how your brain can easily associate a word with a different one – I remember at school that probably around half of the teachers I had would read/remember my name as Stephen Barker instead of Simon Barker – I always found that a little strange too – perhaps, in that case, it was simply because I look like a ‘Stephen’! IMDB – lots of credits and biographies. CBS – the American network that produces the show. 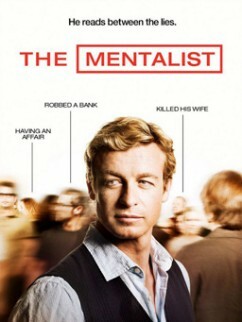 TV.com – lots of information including “The Mentalist” episode guide. The Mentalist Fan Site – a good-looking site created by fans of the show for fans of the show, expect lots of interesting and essential stuff here! Amazon – Lots of related merchandise to buy that feature Simon Baker, the Mentalist. “Zath Rovers Back In For Barker” – Email Marketing Done Well By Football Manager Live?